Our number one goal is that you are completely satisfied with your order, to the point that you're excited to order again and share our brand with your friends and family. We also put a lot of care into each piece we make and want to ensure you that we will stand behind each and every thing we send to you. 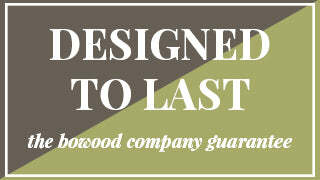 We don’t actually have a return policy for purchases made from BoWood, either at local markets or at bowoodco.com. We handle returns on a case-by-case basis with the ultimate objective of making sure that you, the customer is completely satisfied. We stand behind our products and want all of our customers to be satisfied with them. We’ll always do our best to take care of customers—our philosophy is to deal with them fairly and reasonably; we hope they will be fair and reasonable with us as well. If for any reason you are not 100% satisfied with your order, please contact us so that we can make it right. We sincerely want to know, and will work to make you completely satisfied. If you receive your item and decide that you would like to exchange it for another item or wood type, you must contact us within 7 days of receiving the order and we will send you the item(s) you prefer. Item(s) must be returned back to us in the same condition in which they were received. Normal processing times as described below still apply to exchanges. Each item is made by hand and processing time typically takes 1-2 weeks. This time will vary throughout the year based on holidays and other seasonal requirements. If our processing time gets to be longer than our normal 1-2 weeks due to a large number of orders, we will notify you of any delays to the email address you provide when you order. If you need an order to be received by a certain date, please let us know in advance or at the time you place your order and we will do our best to meet your requirement. We do accept bulk orders for products and can work with you to meet your specific requirements and delivery dates. Most of our items ship within the USA via the United States Postal Service, except for our large cutting boards which will ship using the most economical method based on your delivery requirement and location. Most of the items we sell are made to order and all of them are crafted by hand. Because of this, no two pieces are exactly alike. We do our best to show the unique style and patterns with the photos on our site, but each piece of wood has different shades and grain patterns. You can expect your hand-crafted item(s) to have it's own individual uniqueness. Wood is a diverse material and we cannot guarantee any particular shade of color or grain pattern. We will always strive to provide you with the most consistent wood that we can, but cannot guarantee that it will not have it's own unique features. We will also promise to make each piece from the wood you specify. If for some reason that wood is not available, we will let you know as soon as possible as to not delay the delivery of your item(s) or give you a chance to select a different wood type. I will reiterate, it is our mission to provide you with the best customer service we can and to make everything right. Thank you for supporting us and our mission to bring these pieces into kitchens everywhere. If you have any further questions, feel free to email us at: info@bowoodco.com.